Many are aware that John Boehner has a facial tic. Of course this does not exempt him from nonverbals displays which are indicative of valuable emotional tells. What follows is just such an example. Rep. Boehner's stated (begins at 0:01) "Our leadership team met with ah, our members today, ah, trying to find a way forward in a bipartisan way, ah, that ah we continue to provide fairness to the American people, ah, under Obamacare. Ah, there are a lot of opinions about ah what direction to go. There have been no decisions about exactly we will do. Ah, but we're going to continue to work with out members on both sides of the isle, ah to try and make sure, ah that there's no ah issue, ah of default and to get our government reopened." At 0:06, just after the Speaker of the House says, "... trying to find a way forward in a bipartisan way ...", Mr. Boehner displays a classic example of a microexpression of contempt. His "mustache area" is vectored primarily upward. His left nostril is also flared. In addition, the valuable "contempt amplifier" of simultaneous and partially closed eyelids are present. 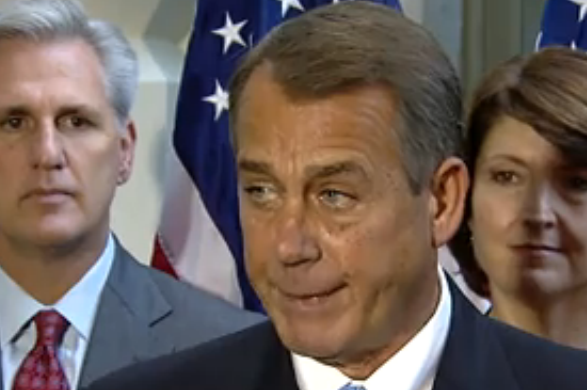 Most of Speaker Boehner's "facial tics" are just that - a longstanding and frequent idiosyncrasy (see below). And indeed when viewed at regular speed, very few people can distinguish the difference between one of his baseline tics and any type of microexpression. This particular example however was not a facial tic. 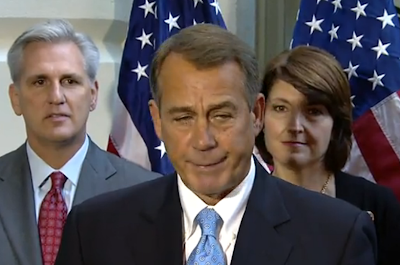 John Boehner clearly is feeling contempt in this moment. This example (at 0:12) is a nearly symmetrical mouth tic - one very typical for the Ohio republican (His mouth, midface or eyes are not displaying a microexpression). What other body language signal(s) do you see in this moment though? This asymmetrical mouth expression is also a facial tic (captured at 0:16). 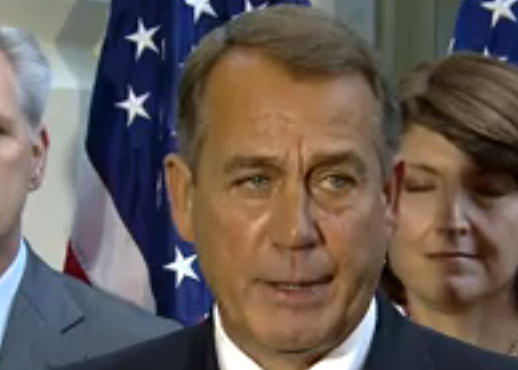 Note there is no tightening or elevation of Mr. Boehner's "mustache area". When you watch these three moments in the video, can you distinguish the difference between these examples? How many microexpressions (and the ramifications) have you missed today? Nonverbal Communication Analysis # 2276: Michelle Obama's Eye Roll .... What was she thinking? and What Did Boehner's & Barack's Body Language Say? Nonverbal Communication Analysis # 2248: Barack Obama's Body Language regarding the Republicans & the Fiscal Cliff on "Meet the Press"